A compilation of collaborations: Wolford's debut CD is a smorgasbord of sounds that may remind you of anything from John Prine to the Mahavishnu Orchestra, or Stockhausen to Jimi Hendrix. "HEAD takes you on the journey of a struggling artist searching for success, happiness and peace while facing pressures of the outside world, frustration and fits of depression: An abstract, psychedelic overture... roots rock/blues... humorous Jazz Muzik... ambient energy-driven... highly-structured progressive rock... Just when you think it has all become too serious the journey takes a left turn into the evils of drink and drugs and then slowly comes to a close with the dark humor of songs about the end of the world and chickens, leaving you happily with questions about what it was that you just experienced, and begging for another listen!" 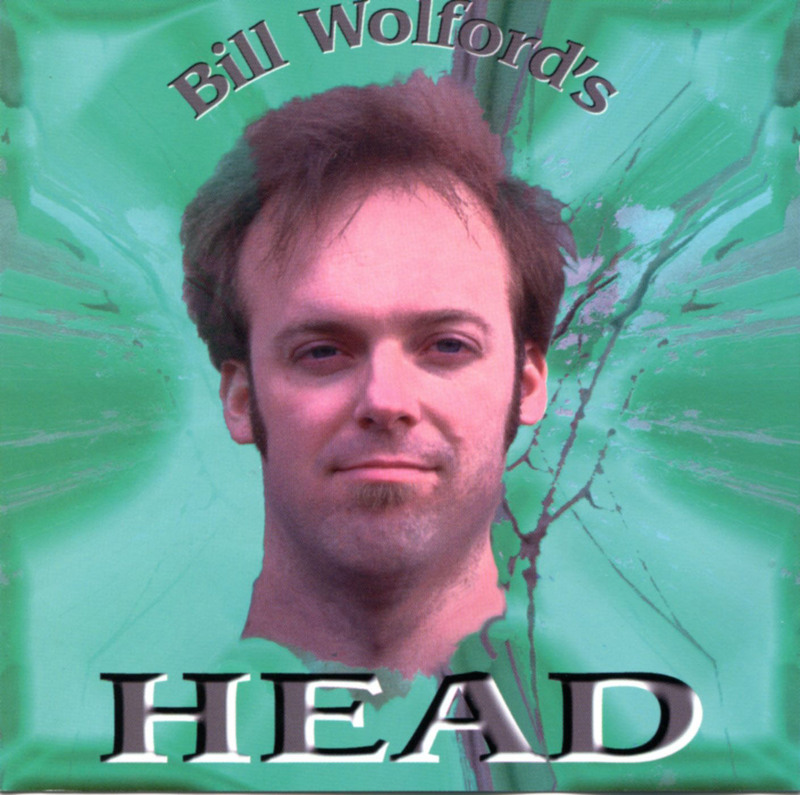 Bill Wolford: Musician, composer, audio engineer, sound designer and producer has been involved in some sort of sound manipulation since he was 8 years old when he interpreted thunderstorms on the piano and religiously toyed with his parents' portable cassette recorder. In the midst of playing and performing in experimental, blues, rock and jazz ensembles he studied experimental, electronic music and jazz guitar at the University of Iowa. He then graduated from Evergreen State College after completing recording, composition and performance studies. He now resides in Seattle, Washington, performing, composing and designing sound here and there. Hard to describe or pinpoint. The first tune ("Exposure To Living") had us thinking that Bill Wolford was very much like another Daniel Johnston. But by the time the second tune ("Somewhere To Play") rolled by, we began to think his sound was more similar to John Lennon. A few songs later we gave up trying to come up with comparisons and just started enjoying this odd fellow's unpredictable style. Every time you think you have Mr. Wolford figured out, he comes from another direction completely.